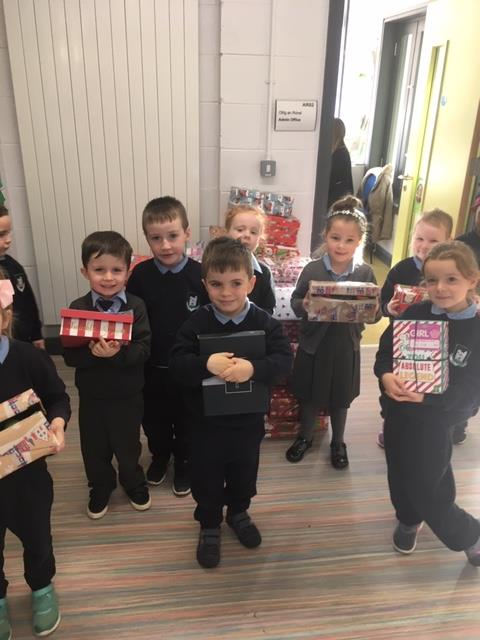 This year the boys and girls in Lusk JNS made a terrific effort to spread the Christmas cheer far and beyond to families and communities across Eastern Europe and Africa collecting over 200 shoe boxes filled with gifts. 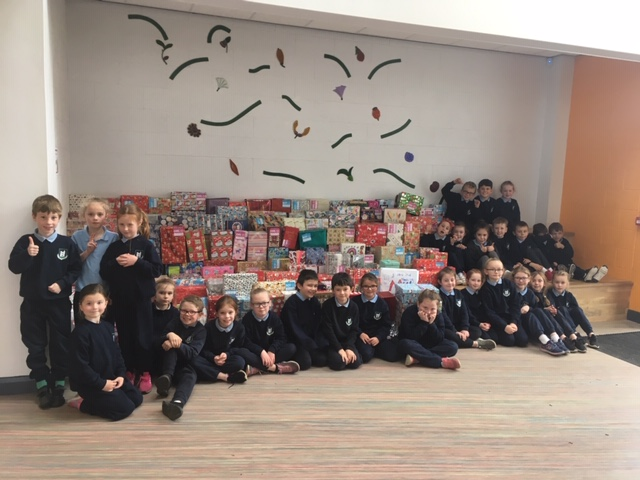 A huge thank you to all involved for your generosity and kind spirit. 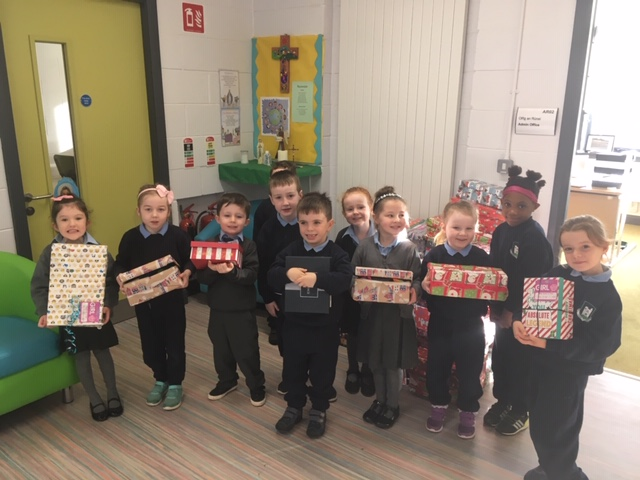 Mr. Nolan and the children have been extremely busy over the last few weeks organising our appeal. 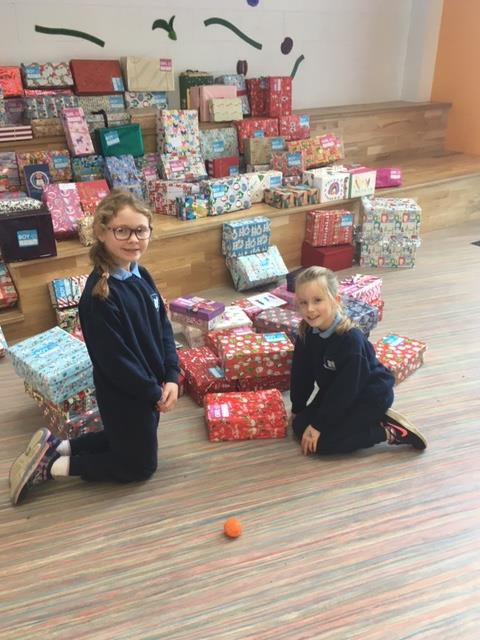 The school has been particularly busy this week with the collection. We, on behalf of Team Hope, would like to thank you all for your generous donations.